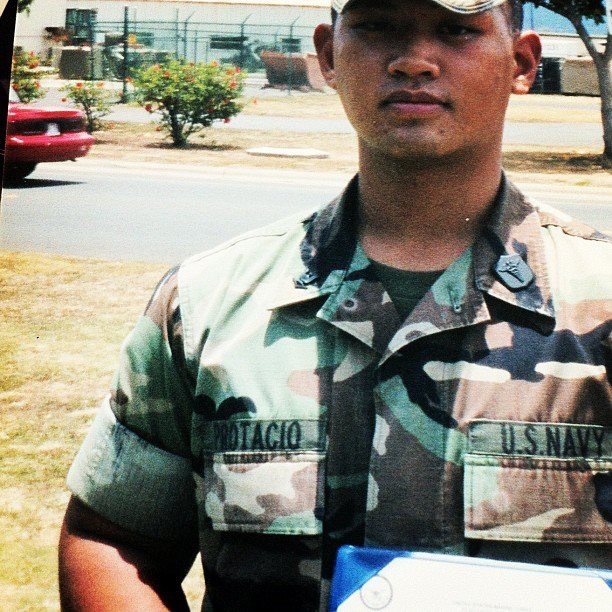 Offering advice to other transitioning military veterans, Arjay Protacio stressed the importance of utilizing available education benefits. Last year Arjay put those benefits to use and enrolled in CityU’s School of Management. Although he had plenty of work experience, Arjay said it was difficult to find employment without a college degree. He said he hopes his Bachelor’s in Management from CityU will give his resume a boost, and make him a more attractive candidate when applying for jobs. From 1997 to 2002 Arjay served as a hospital corpsman in the Navy. When he left the military he found there weren’t many resources in place to help with the transition into civilian life. Since coming to CityU, Arjay said our Veterans Affairs staff has been a major asset in helping him plan his degree path. Aiming to assist additional transitioning military veterans, CityU partnered with Camo2Commerce to provide courses for the Heroes Corporate Fellowship Academy. The program will help prepare Joint Base Lewis-McChord service members to transition from the military into civilian life and the 21st century workforce through business and on-the-job training. As the education partner, CityU has begun teaching service men and women foundational business strategies, project management and leadership skills. The 13-week academy includes corporate training provided by CityU, along with on-the-job training provided by corporate partners such as ThyssenKrupp Aerospace NA, Amazon, Starbucks, Fred Hutch Cancer Research Center, Compass Group, Thurston Economic Development Council, TrueBlue, Inc., Tacoma-Pierce County Chamber of Commerce, and Williams-Sonoma. Today, the group of academy students heard from John Wyman, HR Manager for BPI Medical. Each Thursday, as part of the corporate training, a senior-level guest speaker shares their experiences in business in an effort to provide more insight into potential careers. After leaving the Army in 1992 where he served as a ranger for four years, Mr. Wyman went on to work for several companies as a manager and later a consultant. He is a two-time graduate of CityU, and finished his MBA in 2007.